It's Monday again... time for a Best Shot to share with Tracey over at Picture This! Last year we only had 4 tulips come in. This year... we've got 22! 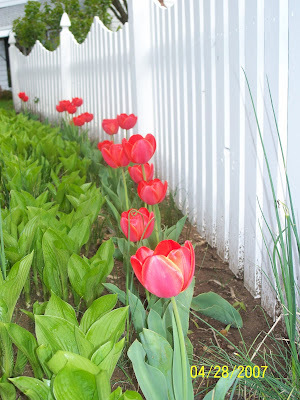 I just love the red tulips in front of the white fence (especially before the hostas grow in to full size)!